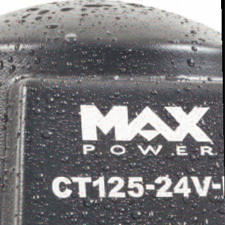 The smallest in the Max Power Ignition Protected tunnel thruster range, the CT35-IP is ideally suited to motor boats and deep footed sailing yachts ranging from 17’ to 34'. 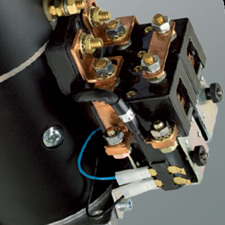 Ignition protected thrusters are ideal for motor boats. Their unique feature is the totally sealed housing around every electric part. This feature provides optimal ignition protection because it doesn't allow any fuel fumes enter the electric parts and cause spark ignition. 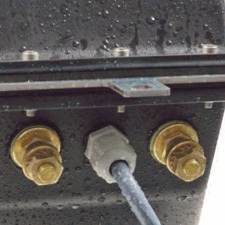 In addition, the sealed housing prevents water and humidity from entering the electric parts area and keeps it dry. Ignition Protected and water resistant. Easy to connect thruster. Robust metallic frame. 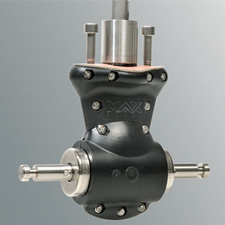 Unique composite drive leg design. See page 8 for full details. High specification electric motors. See page 8 for full details.